The Free Church Orchestra has existed in various forms for a number of years. 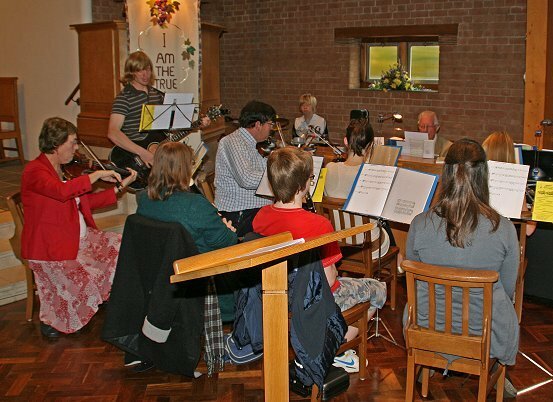 There is a small music group which plays regularly almost every Sunday, but the slightly larger orchestra currently plays at family services about four times a year. Numbers have always fluctuated as our young people move on and currently we are quite a depleted group. We need new recruits, and whilst all instrumentalists are welcome we currently have no bass instruments at all with the departure of our remaining cellist to university! The orchestra is made up of musicians of all standards (children or adults) who play violin, viola, clarinet, flute, descant and tenor recorder, guitar and drums, and we would love you to come along too. The only requirement is the ability to read music as most music can be adapted to suit your standard as required.